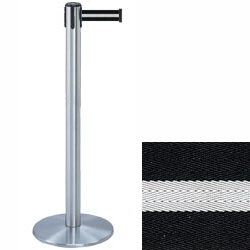 These silver stanchions with white stripe belt are an ideal solution for crowd control in any environment with their stable weighted base. 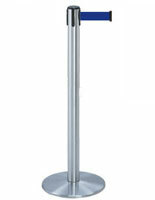 The stands feature a sleek chrome finish with a neutral strap that complements restaurants, event venues, service organizations and other public areas. 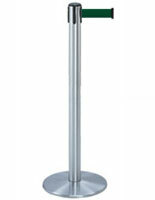 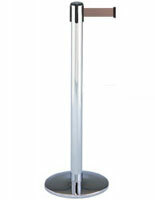 The floor standing silver stanchions each measure 38" tall and their belt extends 7.5' to other posts. 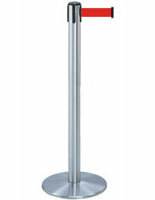 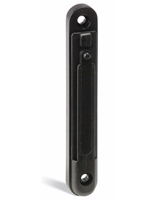 The fixtures are easy to move from location to location because they weigh only 24 lbs.